Camp for €20,- a night at Camping Andeer in low season with CampingCard ACSI. 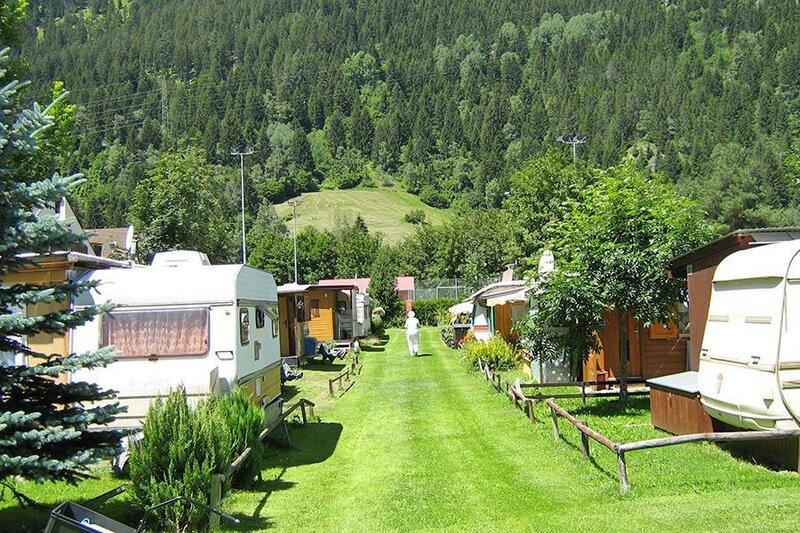 Camping Andeer, located in Andeer (Graubünden), is a campsite with 40 touring pitches and 125 year round pitches. With your CampingCard ACSI you can camp on one of the pitches during the following periods: 01-02-2019 - 30-06-2019 and 15-09-2019 - 15-12-2019. At this campsite you can not only use your CampingCard ACSI for inexpensive camping, you can also use your ACSI Club ID (as an alternative ID). Quiet family campsite, beautiful location in the valley of the Hinterrhein river. Many options for walking to the rustic villages on the hillsides. There is an indoor medicinal mineral spa just next to the campsite with wellness facilities. There is a heated outdoor pool next to the campsite. Free wifi. Would you like to book Camping Andeer or request more information? You can do both using the information below or by visiting the campsite's website. A13, exit Zillis or Andeer. The campsite is on the north side of the village by the mineral bath. CampingCard ACSI will send your information request to "Camping Andeer".